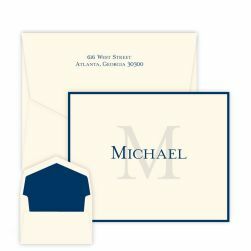 The Morgan Card - Raised Ink is dressed to impress. 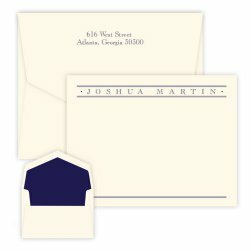 Choose from 11 raised ink colors. 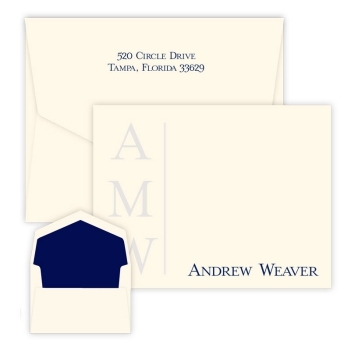 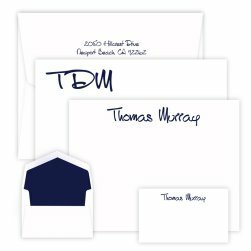 Your initials (printed with a screened "watercolor" effect) and one line of personalization (printed in full color) will surely stand out.